With the closure of the Contact Theatre cafe, adjacent to my office, for all of 2018, Café Muse (at the Manchester Museum) has become the nicest place nearby to buy a lunch. 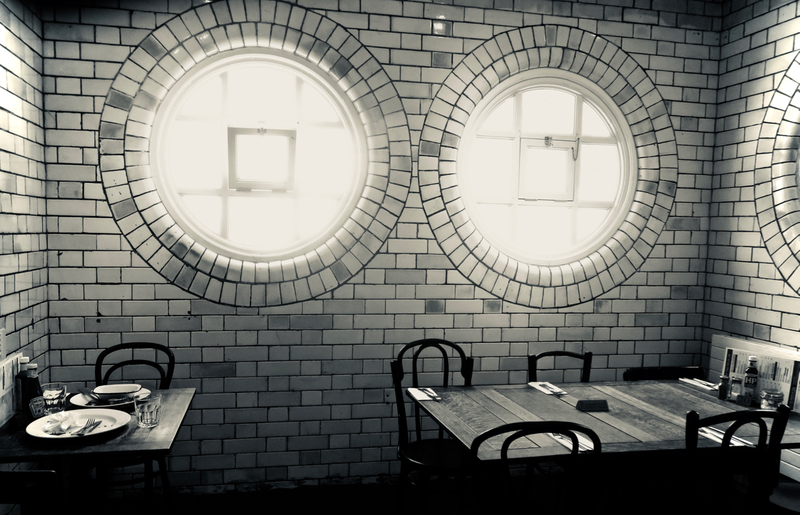 I like this back room, with its tiles and incongruous porthole-style windows. A cool spot to hang out as the tropical weather continues.